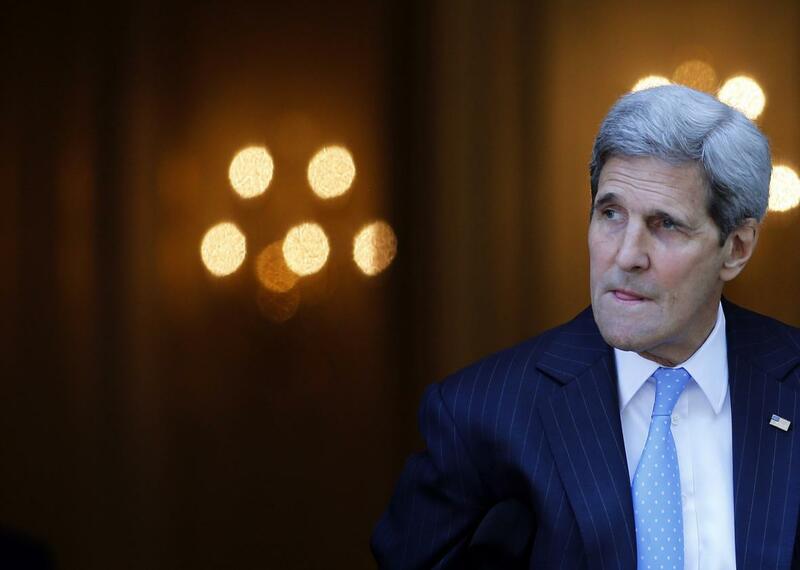 Diplomats are cautiously optimistic Iran deal will be announced on Monday. Secretary of State John Kerry leaves his hotel on the way to mass at the St. Stephen’s Cathedral in Vienna, Austria on July 12, 2015. After it seemed all hope had been lost with the Iran nuclear talks, optimism appears to have returned to Vienna, where anonymous diplomats said a provisional agreement could be reached Sunday. The deal, which would apparently be formally unveiled on Monday, would broadly involve Iran cutting back on its nuclear program in exchange for sanctions relief. The two diplomats who talked optimistically to the Associated Press were careful to point out that the final details still had to be ironed out so anything could happen. “We are working hard, but a deal tonight is simply logistically impossible,” an Iranian official said. The State Department also tried to pour some cold water on the talk of an imminent deal. “We have never speculated about the timing of anything during these negotiations, and we’re certainly not going to start now—especially given the fact that major issues remain to be resolved in these talks,” a senior State Department official tells the Washington Post. Yet anonymous sources were not the only ones sounding guardedly optimistic. Secretary of State John Kerry said on Sunday he was “hopeful” that Iran would seal a deal with six world powers, reports CNN. “We had a very good meeting. Positive,” Kerry said about his Saturday meeting with Iranian Foreign Minister Javad Zarif. “I think we’re getting to some real decisions so I will say—because we have a few tough things to do. I remain hopeful. Hopeful.” He was hardly alone. “I am partly in the know that some challenges remain but overall I believe that it’s moving forward and in the current context an outcome can be reached,” Iran’s parliamentary speaker, Ali Larijani, said, according to Bloomberg.